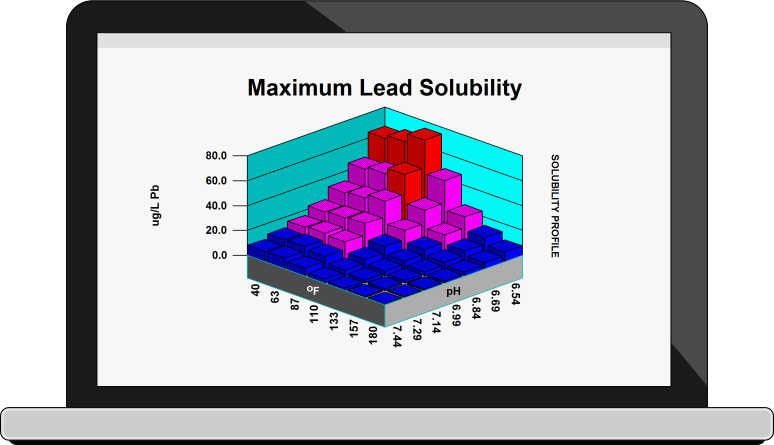 Predict & mitigate dangerous lead & copper levels with WatSIM software. Many current regulations and recommended control parameters regarding metal contamination of potable water are extremely dated, based upon simple calcium carbonate indices from as long ago as the 1930's. These indices have a minimal relationship with lead and copper corrosion, the dissolution of existing lead and copper based deposits, and the transport of lead and copper through a municipal distribution system in a soluble form. Changing Water Sources? Concerned about corrosion? Lead and copper solubility? Considering or optimizing an anti-corrosive treatment? Results are presented through the unique French Creek Visual Chemistry Approach, which profiles critical parameters over the entire temperature, pH, and chemistry range encountered in a distribution system. 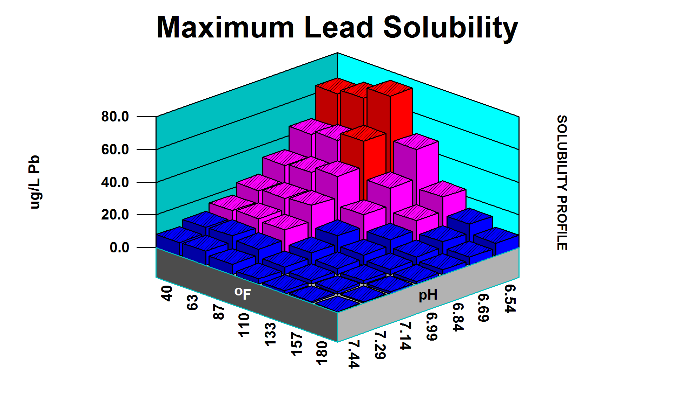 The impact of anti-corrosive treatments on Lead and Copper solubility are included in the engine calculations. A municipality is considering changing its water source. 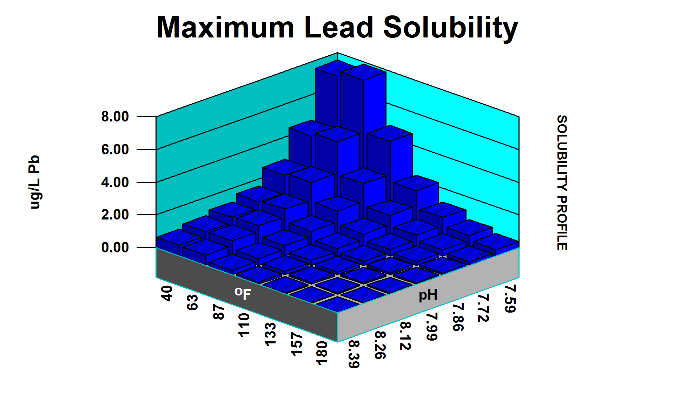 This example Profiles Maximum Lead and Copper Solubility before and after proposed water source or treatment changes in a municipality. Results displayed via WatSIM visual outputs. Color coding indicates metal concentration with respect to the EPA Action Limit. Blue indicates levels below the mandated limit. Magenta and Red flag levels at or above the action limits. Contact French Creek direct at info@frenchcreeksoftware.com or follow the botton below to receive a free analysis of your water using WatSIM.